Communication stop for "ECM (Engine)" is indicated on the "Communication Bus Check" screen of the Techstream. 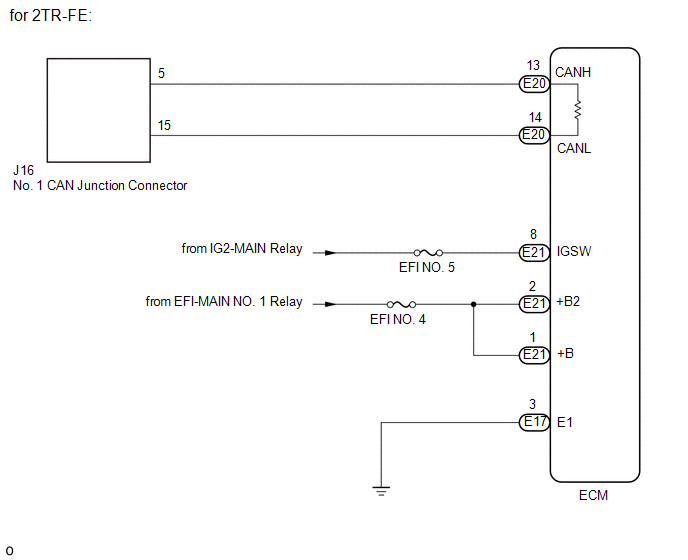 Communication system DTCs (DTCs that start with U) that correspond to "ECM Communication Stop Mode" in "DTC Combination Table" are output. Because the order of diagnosis is important to allow correct diagnosis, make sure to begin troubleshooting using How to Proceed with Troubleshooting when CAN communication system related DTCs are output. Before measuring the resistance of the CAN bus, turn the ignition switch off and leave the vehicle for 1 minute or more without operating the key or any switches, or opening or closing the doors. After that, disconnect the cable from the negative (-) battery terminal and leave the vehicle for 1 minute or more before measuring the resistance. Some parts must be initialized and set when replacing or removing and installing parts. After performing repairs, perform the DTC check procedure and confirm that the DTCs are not output again. DTC check procedure: Turn the ignition switch to ON and wait for 1 minute or more. Then operate the suspected malfunctioning system and drive the vehicle at 60 km/h (37 mph) or more for 5 minutes or more. 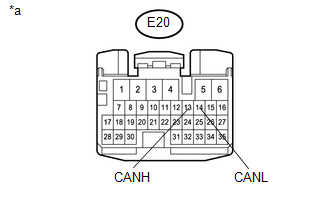 After the repair, perform the CAN bus check and check that all the ECUs and sensors connected to the CAN communication system are displayed as normal. Before disconnecting related connectors for inspection, push in on each connector body to check that the connector is not loose or disconnected. 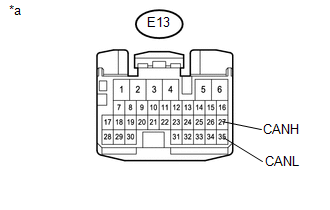 When a connector is disconnected, check that the terminals and connector body are not cracked, deformed or corroded. (a) Check the vehicle specifications. (a) Disconnect the cable from the negative (-) battery terminal. (a) Check the ECM power source circuit.